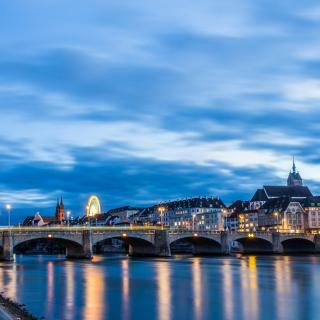 The Wettstein hotel is located in a central residential quarter of Basel, 200 metres from the Rhine river, and offers you garage parking, free Wi-Fi and a free internet station. The staff were so friendly and helpful when we turned up with two very large bicycle boxes! The free drinks in the minibar were a great idea as it was hot and the breakfast was the best we had in Switzerland, it was my husbands birthday while we were there and they gave him a free beer at the bar! The hotel was in a fabulous location and an easy walk back after a swim in the rhine! We will return next year...a big thank you to all the amazing staff. This hotel in a historic listed building in the old town of Basel enjoys a central and very quiet location, close to the university and the cantonal hospital. Nice location, helpful kind people, comfortable bed, good size nice room, perfect bathroom. Hotel Schweizerhof enjoys a preferred location in the centre of Basel, next to the SBB train station and is easily accessible by car and public transport. Local phone calls are free. The room was large, the bed comfortable (and we're picky for health reasons), the breakfast and service exceptionally good as usual. We consider this to be the best hotel in Basel, primarily on its own merits, but its proximity to the SBB train station and the tram transfer plaza are also most convenient. Hotel Spalentor is located opposite the Botanic Gardens, a 5-minute walk from the Old Town of Basel and the University, and offers free bicycles, free WiFi, a fitness area and a quiet garden with a... excellent location. walked to all we wanted to see. The family-run GAIA Hotel can be found right across from the main railway station, only a 10-minute walk from the historic city centre. A great place that was located near all major trams and the train station. Situated in the Old Town, with all sights and museums within walking distance or easy to reach by public transport, the Teufelhof Basel offers stylish accommodation and fine art and cuisine. Fantastic hotel. Great location and both restaurants on site are amazing. 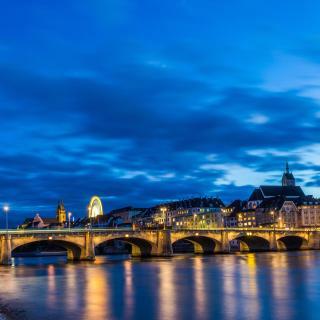 Located in the lively centre of Kleinbasel, right at the Rhine River, East-West Riverside Hotel is just a short walk across the bridge from the Old Town of Basel and a 10-minute tram ride from the... The staff is very friendly, professional and forthcoming! The modern 4-star Novotel Basel City is located 800 metres from the train station and a 10-minute walk from the Kunstmuseum and it offers free public WiFi and a restaurant. The bathroom was so really cool and up to date. The Hotel Victoria offers traditional hospitality and modern hotel comforts in the centre of Basel next to the main train station (SBB). Inside the room and street view. Ibis Styles Basel City is located in Basel, within easy walking distance from Basel SBB train station. The St. Jakob-Park stadium and the Messe Basel can be easily reached by tram. Everything. It's the perfect hotel for a great price considering it's Switzerland. The Rheinfelderhof hotel enjoys a central location in Basel, 200 metres from the trade fair and 3 minutes' walk from the city centre. A tram stop can be found in front of the hotel. Staff was great- thankful for parking and access to public transport . The Hotel Alexander is located right at the Messe Basel fairgrounds and the Congress Centre, a 7-minute ride from the centre of Basel. The tram stop is right outside. Free Wi-Fi is available. I was visiting Cathedrals along the Rhine and in Basel meeting up with a family member. Offering a terrace, The Garden Guesthouse is situated in a residential area amid a charming garden, just a 15-minute direct tram ride from the Messe Basel fairgrounds and the city centre (by tram no. Great stay experience! Really love this place! The Hotel Stücki is located next to the Leisure Centre Stücki Park in the district of Kleinhüningen, a 10-minute drive from Basel Airport. It offers free internet access and free bicycle hire. Great breakfast with wide variety and own breakfast corner for kids too. Hotel brasserie au violon offers rooms with free WiFi in Basel, attractively situated 200 metres from Architectural Museum and 300 metres from Basel Cathedral. Charming atmosphere, inside and outside the hotel. Just 150 metres from Basel Main Train Station and the airport shuttle bus and only 10 minutes' ride by public transport to Basel Messe convention centre, Metropol Hotel is a modern non-smoking hotel... We have a allergy to pet fur and this was the only hotel we could find that didn't allow pets. The Hotel Balegra is situated on the outer ring of Basel, 8 minutes from the Basel SBB Train Station by tram number 8. The city centre and the fairgrounds are reachable in 15 minutes by tram. The hotel is clean and in a perfect location ! Excellent breakfast and a very sweet place ! Many families visiting Basel loved staying at The Garden Guesthouse, Motel One Basel and Microhotel. What are the best hotels to stay in Basel? Hotel Spalentor, Hotel Schweizerhof Basel and Motel One Basel are some of the popular hotels in Basel. What hotels in Basel are good for couples? These hotels in Basel are highly rated by couples: The Garden Guesthouse, Grand Hotel Les Trois Rois and GAIA Hotel. 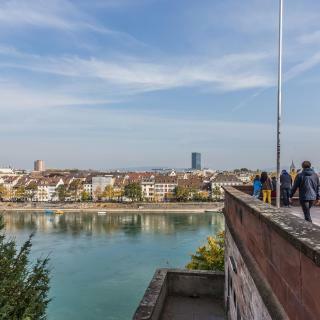 What is the best neighbourhood to stay in Basel? Old Town Grossbasel, Old Town Kleinbasel and Clara are popular with other travellers visiting Basel. What are the best hotels in Basel near Basel Airport? Travellers who stayed in Basel near Basel Airport (BSL) have said good things about hotelF1 Mulhouse Bâle Aéroport, Hotel Berlioz Basel Airport and Brit Airport Club Hotel - Basel Mulhouse. The average price per night for a 3-star hotel in Basel this weekend is £193 or, for a 4-star hotel, £228. Looking for something even fancier? 5-star hotels in Basel for this weekend cost on average around £830 per night (based on Booking.com prices). On average, 3-star hotels in Basel cost £100 per night, and 4-star hotels in Basel are £121 per night. If you're looking for something really special, a 5-star hotel in Basel can on average be found for £532 per night (based on Booking.com prices). What hotels in Basel have nice views? 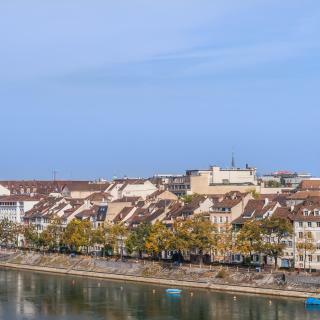 Grand Hotel Les Trois Rois, Hyperion Hotel Basel and Sorell Hotel Merian have received great reviews from travellers in Basel regarding the views from their hotel rooms. On average, it costs £110 per night to book a 3-star hotel in Basel for tonight. You'll pay on average around £138 if you choose to stay in a 4-star hotel tonight, while a 5-star hotel in Basel will cost around £445 (based on Booking.com prices). 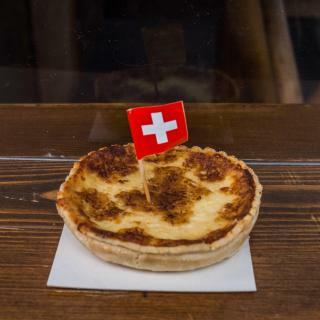 What hotels in Basel offer an especially good breakfast? For hotels in Basel that serve up a highly-rated breakfast, try GAIA Hotel, Grand Hotel Les Trois Rois and Hotel Wettstein. 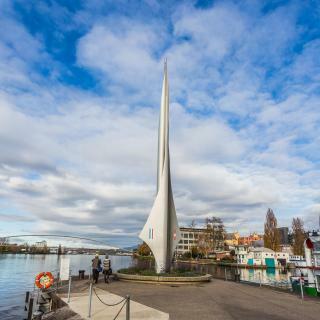 At the meeting point of Switzerland, Germany and France, Basel is an eclectic mix of historic and modern, tranquil and vibrant. With Swiss cleanliness and efficiency thrown in for good measure. Augusta Raurica on its outskirts houses a well-preserved Roman theatre, while the Old Town is a museum of medieval buildings. The Renaissance Town Hall looks down on Marktplatz’s daily market, while the red sandstone and colourful tiles of the Münster were reconstructed in the 19th century. Bringing it right up to date are the modern creations of city residents Herzog & De Meuron, designers of London’s Tate Modern. The Basel accommodation on Booking.com ranges from hotels in Grossbasel to B&Bs in Kleinbasel, home to the nightlife. If you’re flying into Basel-Mulhouse-Freiburg Airport in February or March you might just catch Fasnacht: Switzerland’s biggest carnival. You’ll have to get up early to see it start though - 4am! Old center on the river Rhein is lovely. Old center on the river Rhein is lovely. It's beautiful and easy to access. A lot of parks in the city. Public transport takes you everywhere, not need to use Taxi, or even walk, if you don't want to. Basel is a great city to visit with children. Basel is a great city to visit with children. There are many parks and playgrounds and most of the streets outside the center are quite wide so it’s easy to walk around with small children. The city is also very clean and peaceful. There are many other things one can do such as shopping, visiting museums or going to the theater. We visited the natural history museum with our kids and we all really enjoyed it. Finally, it’s a very modern city with lots of up and coming areas and alternative restaurants. Extremely expensive for any type of traveler. Lovely to explore the old town and around the river. Lovely to explore the old town and around the river. Very easy to use the trams. 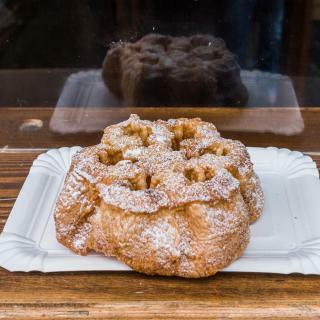 Allow time to look or somewhere you like for dinner, but lots of coffee and cake shops not to be ignored. Unless your are desperate to visit 3 countries in one day, I'd skip the tripoint. Everything is perfect as usual!